Steve Mandanda is an international France team player. He was born on 28 March 1985 and his birthplace Kinshasa, DR Congo, France. Mandanda has played in the Le Havre, Marseille, Crystal Palace club and France national football team. Usually, his playing position is Goalkeeper. Steve Mandanda has great interest in the football. He was equally supported by his parents. He started his youth career with the Le Havre. He made his debut in August 2005. He performed in 30 league matches in the 2005-06 season and 37 in 2006-07 seasons. His outstanding performance attracted the attention of other clubs. He played the majority of his career with Olympique de Marseille. He played with Marseille from 2008 to 2016. On 1 July 2016, the Crystal Palace picked him. Steve Mandanda has a beautiful wife in his life. Her name is Sarah Mandana. There is no exact info about the date of their married. However, they are living happily after they married. There are no any signs of divorce between the blessed couples. They together have a child as a son. 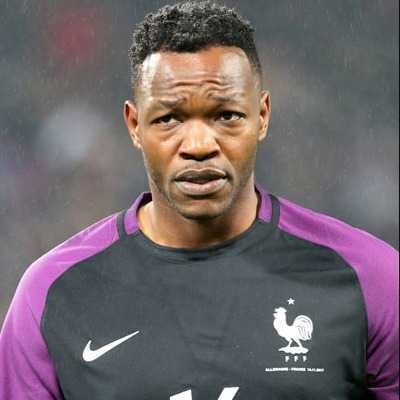 Mandanda has three younger brothers, all of whom are goalkeepers: Parfait, goalkeeper of Charleroi and Congolese international; Riffi, goalkeeper of AC Ajaccio and France U-16; and Over, who was in the junior ranks of US Lusitanos Saint-Maur. He enjoys spending time with his family in the city of Marseille, where he lives. He has earned the nickname "Frenchie" amongst his relatives for having chosen to play for the French national football team rather than Congo, his country of birth.